Come down to the Backstage Lounge for more sunny music, April 28th! We are all Everyday People! So here is the video that inspired our newest oldie, “Everyday People.” So good to hear Sly again! If you want to hear our rendition, join us at the Backstage Lounge in Granville Island on Saturday, February 25th. Yes, Jesse is back for another show! We are so lucky to have him play once again. Check out this video of the last time he played! You can’t see him, but he sure sounds good. See you all on May 7th! 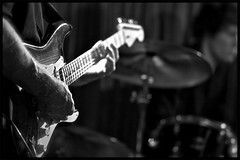 We are so pleased to feature the amazing Rick Hill at our show at the Fairview Pub on April 8th. Rick is a local R & B legend. He started drumming at the age of 10 (right around the time when Al, our keyboard player, met him!) and has been rocking ever since. 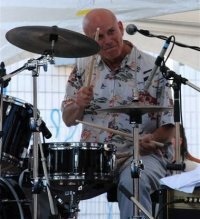 He is a veteran of the Vancouver music scene, even co-founding Vancouver’s own “Rhythm & Blues Allstars.” He has shared the stage with James Brown, War, Chuck Berry, Paul Butterfield Blues band and Long John Baldry. Wow. We are ecstatic that he is sharing our stage at the Fairview on April 8th. Don’t miss it! We are thrilled to be playing at the Backstage Lounge in Granville Island on Dec 4th. Come down and kick off the holiday season with us! It’s also Andrew’s last show before he takes a hiatus in Europe for a while. He’d love you to join the celebration. It’s going to rock! Be there. Here is a clip from last year’s Holiday show at the Backstage. And we’re kickin’ it up this year! Fall is in the Air – Here’s a little sunshine! Check out this vintage Allman Brothers clip that a friend of Sammy’s found. I can’t wait to play this song on July 10th at the Backstage. Enjoy! Sammy G found this online. A star in the making! Great song choice too! Oh, and happy Earth Day! Here is an Earth Day challenge: see if you can go a whole day with no garbage. Good luck! Lots of cool shows are coming to Vancouver in the next couple of months. Check out Motown Madness at the Commodore on May 15th. It’s going to feature local talent and it benefits the Shooting Star Foundation. Sharon Jones and the Dap Kings (who we love!) are also coming to town. Check her out! Good music and good times.